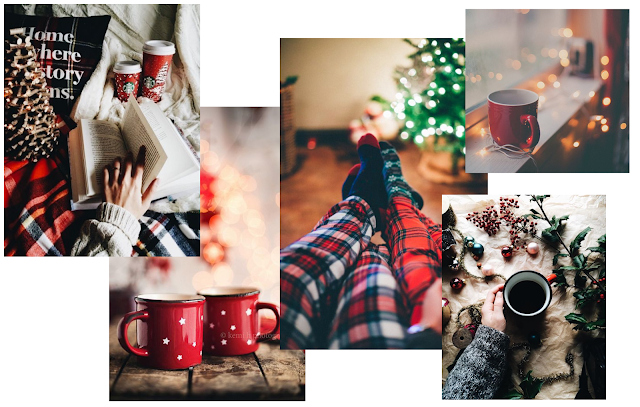 For today's Blogmas post, I thought it would be nice to keep it simple and share some of my favourite Christmas pins from Pinterest. I love Pinterest. It's where I get a lot of ideas and inspiration from and I often find myself getting lost in it for hours. I don't use it as a social media platform like a lot of bloggers do (simply because I wouldn't know where to start and how to use it as a platform) but it is one of my favourite websites. Anyway, I'm not going to be chatting much more from now. I'd like you to enjoy the pins and tell me which group of pins is your favourite. I've tried to themed them. The one above I'd call 'Christmas Cosiness'. I can totally imagine my first home being like the photo on the top left corner. 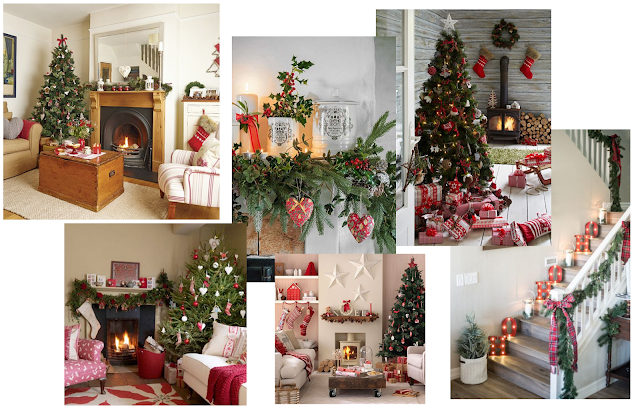 That is completely and utterly what I'd like my home to look like at Christmas! 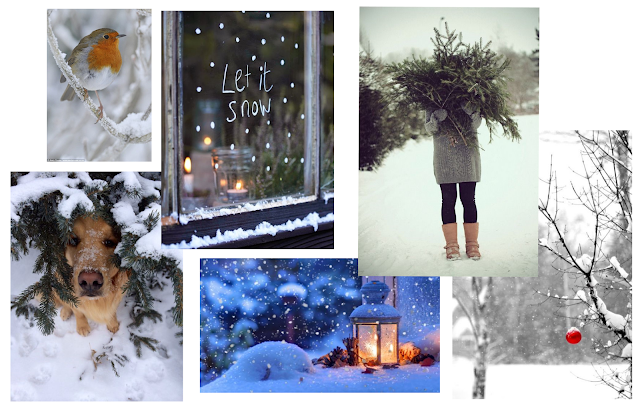 I feel like I can really relate to this theme today, especially after all the snow we've been having here in London. Loving it! But not loving driving in it. 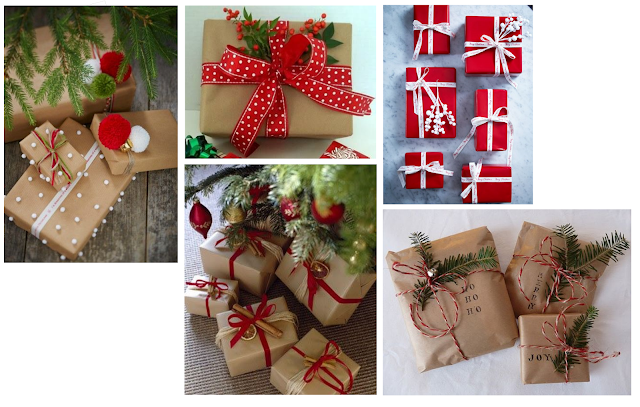 This year I've gone for some dog and Rudolph printed paper but I'd really love to try some of these bows and decorations on some of my gift wrapping this year. I've tried to Christmas up my room as much as possible this year and I'm really enjoying the red and white theme I have going. 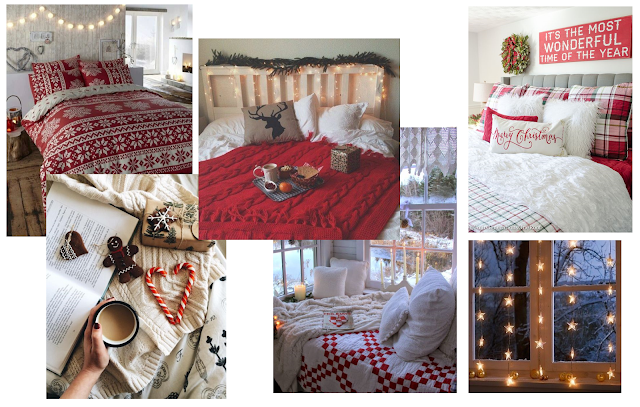 It's super cosy and feels really Christmassy too! 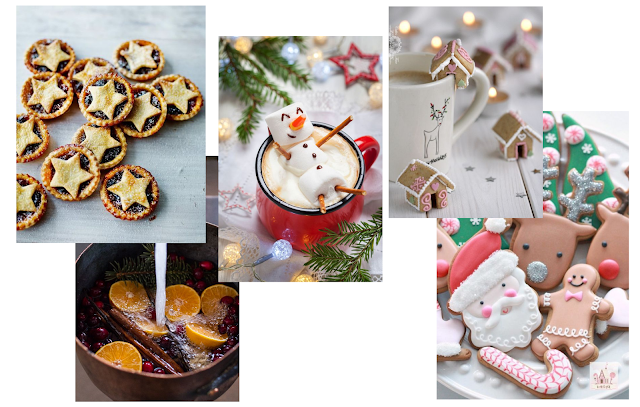 You can find all the web links to each pin on my 'Christmas!' board.